Workers on the front line of the battle against the disease are too often overlooked as scientists and funders plot how to defeat malaria. Nature sent a reporter to Myanmar, Cambodia and Thailand in May to see how researchers are helping countries in the Greater Mekong region reach their goal of eliminating malaria by 2030. Her News Feature this week highlights how political, financial and geographical obstacles allow the disease to persist. The broader malaria community, including researchers and funders, must do more to address these challenges. It is a race against time. The disease must be stamped out in the region now, while it remains relatively rare. Allow it to increase, and the chance will be lost. Worse, drug-resistant parasites there will multiply and spread. It’s no secret that the best way to beat malaria is to ensure that every infected person can quickly reach a health worker and be given artemisinin-based combination therapies (ACTs) — pills that swiftly kill the parasites that cause malaria before they spread to other people. The importance of health workers is highlighted by what happens in their absence. Hundreds of thousands of African children die every year because they do not get the pills in time. And in Venezuela — once declared malaria-free — the disease has come back with a vengeance as political instability has fractured health services. A review of 75 malaria resurgences around the world from 1930 to 2011 found that 90% were caused by lapses in basic malaria-control measures — mosquito control (mainly through insecticides) and health systems (J. M. Cohen et al. Malaria J. 11, 122; 2012). Insecticides are potent tools for reducing malaria, but resistance is on the rise. Bed nets also reduce risk, but can’t always prevent the disease. A strong public-health system is necessary because there is no powerful vaccine for malaria, unlike other illnesses subject to elimination campaigns, such as polio. Yet health systems in many malaria-endemic nations are riddled with holes. Malaria health workers are often unsalaried, so many leave for other jobs. Networks of researchers, technicians and administrators support health workers, provide surveillance and inform policy. But health budgets in low-income nations are often too small to attract enough of these skilled workers. At present, too many of these crucial positions are unpaid. The Bill & Melinda Gates Foundation in Seattle, Washington, the US government and many other donors do not pay salaries for health workers and other staff in national health systems. 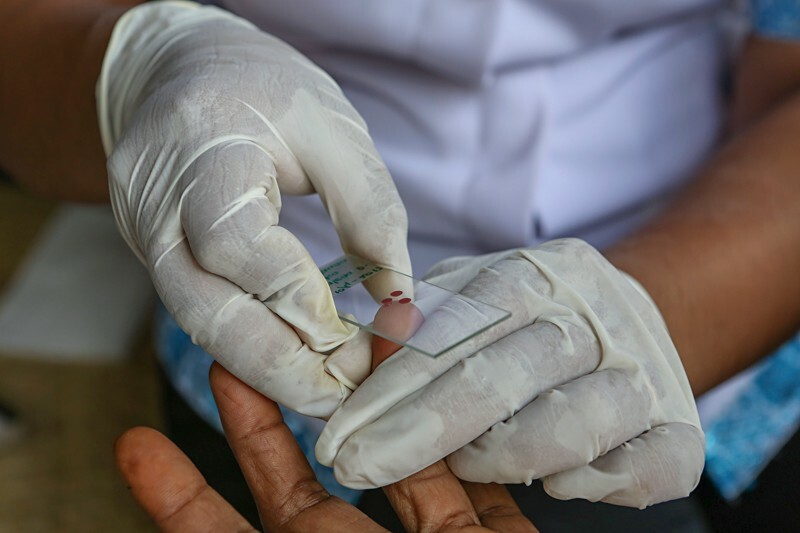 The Global Fund to Fight AIDS, Tuberculosis and Malaria is a rare exception in supplementing pay for national health workers — but even it does not allocate funds to researchers and officials at higher levels in ministries of health. It says that national governments should do this, but many can’t or don’t. The problem is complex, but there are a few ways in which the scientific community could help. Researchers can analyse the costs and value of health-system components and compare them with those of other projects, such as genetically modifying mosquitoes to wipe them out, or conducting vaccine studies. This would help donors and governments re-evaluate their priorities when funds are limited. Researchers can also help by developing simple tools and treatments for other diseases, thus allowing local malaria health workers to be more versatile. In this way, their services remain crucial even as malaria infections drop — as they have across southeast Asia. This added value means that governments might be more willing to pay workers. Furthermore, top-tier scientists in Western countries can work to boost the status of their colleagues in malaria-endemic regions. After all, local researchers working in government agencies are best placed to lobby their leaders for bigger health budgets. At the moment, these local researchers often provide a supporting role to those from the United States and Europe who are the lead investigators on large grants. The international scientific community should put more emphasis on providing long-term mentorship, building laboratories and helping colleagues to boost their careers. And — despite strong disincentives for doing so — experts should push back against funders and journals that favour ‘outside the box’ ideas over routine support for health workers in remote villages. For example, drones have been touted as a new means of delivering malaria drugs to remote areas. Researchers should ask for evidence that such expenditures are more valuable than improving the basic health system. Last month, the World Health Organization declared Paraguay to be malaria-free, even as cases were rising in Venezuela, Panama, Peru and Nicaragua. Public-health officials attributed the nation’s victory to its health system’s ability to quickly detect, treat and track cases. Sometimes, the classic recipes are the best.